Welcome, little Cruz to the blog! This little guy was anxious to make his arrival into the world. Plenty of time his Akron newborn photography session. He came 5 weeks early, the day after his momma’s maternity session! We had such rainy weather and kept rescheduling her session, I’d say we had it just in the knick of time! 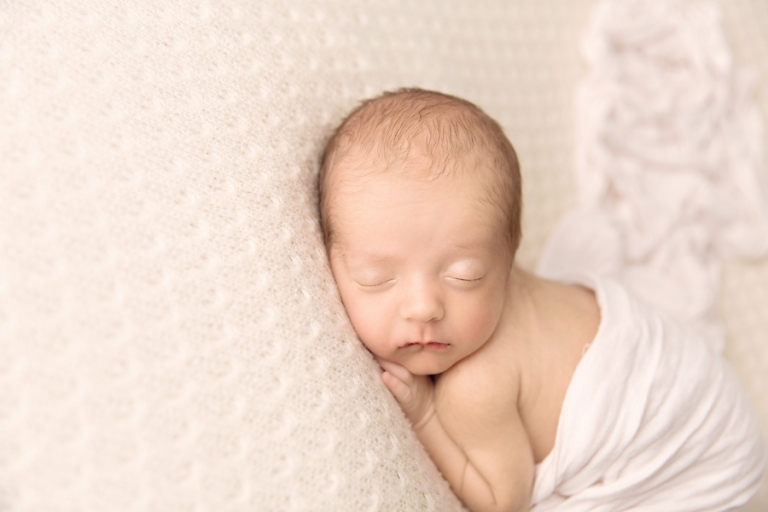 Often when scheduling newborn session, expecting mommas aren’t sure how it will work. After all babies come on their own time frame! 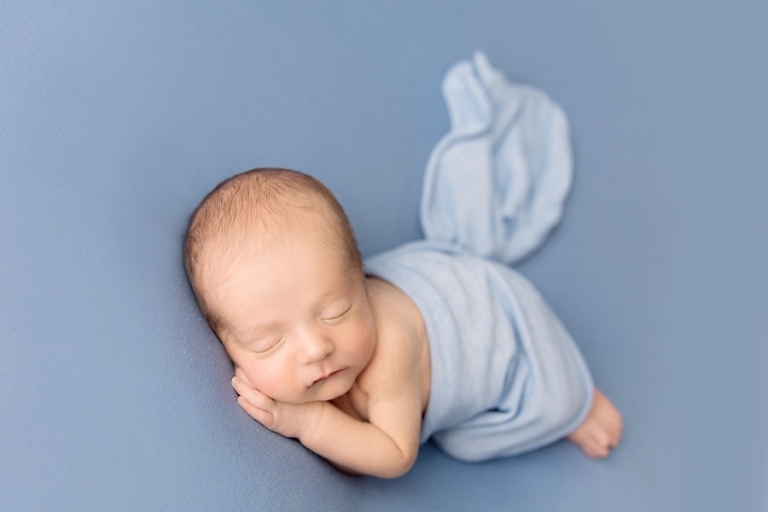 When a little one arrives well before their due date, we have up to two weeks after their due date to get their session done. This leaves plenty of time for them to grow and gain strength, especially since they are likely to have a NICU stay. So when Cruz arrived for his newborn session, he was a few weeks old but that is not a problem. Developmentally, they are still in womb mode so sleepy shots are not a problem! I just am absolutely loving greens lately! 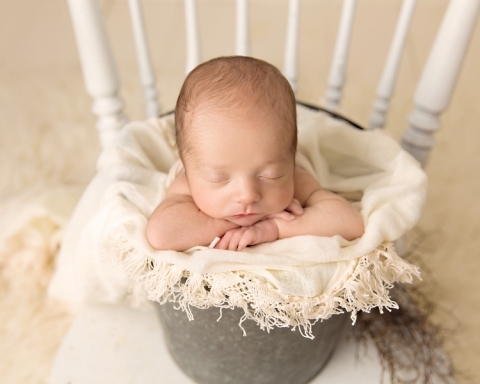 This bucket from Rozzie Rayn Props had just arrived and of course I had to use it for Cruz’s newborn session! And I love how cozy he looks, all swaddled. He is nice and cozy, just as his was in his momma’s womb. Babies in buckets never get old, do they?? I think not! 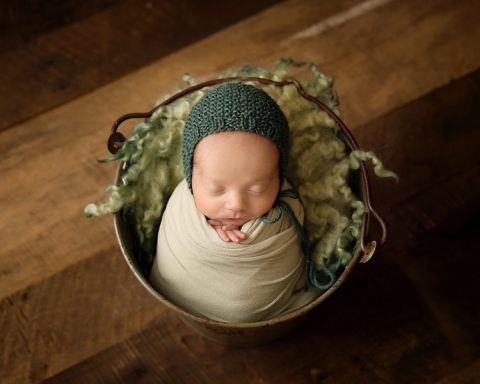 This variation of layering props is totally in trend right now in the newborn photography world. It’s always fun to mix up an old favorite! Thank you so much for stopping by the blog! If you like what you see, you may want to check out similar sessions or stop by the newborn information page to learn more. The best time to schedule your newborn session is while you are expecting, although occasionally I will have a last minute opening. Please contact me to inquire about pricing and availability.